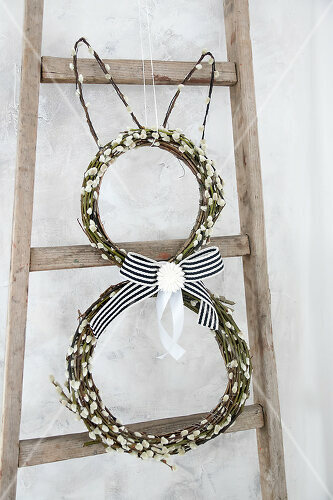 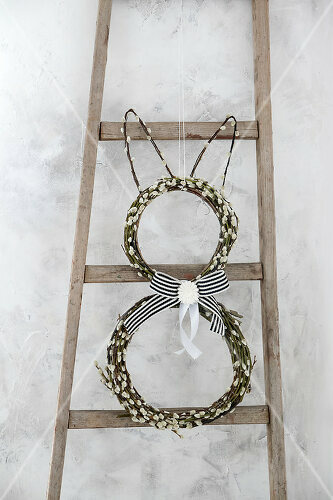 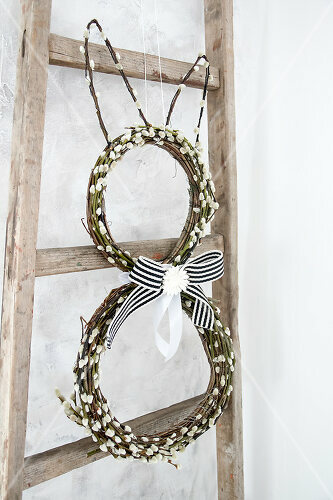 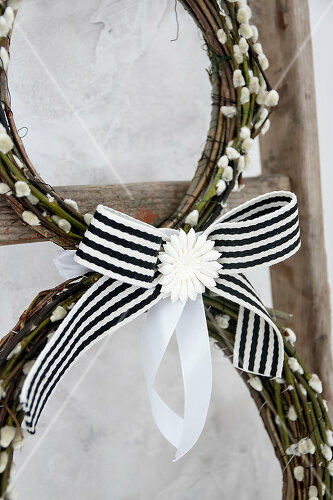 This Easter wreath not only looks pretty, but is also made quickly. 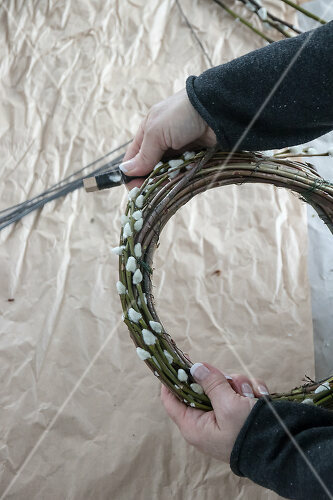 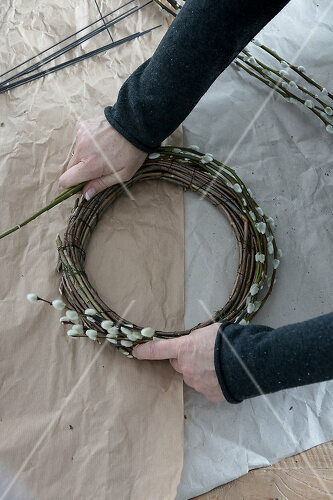 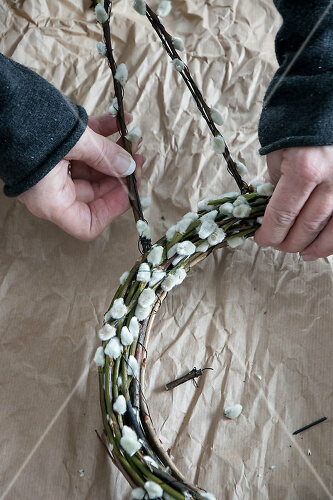 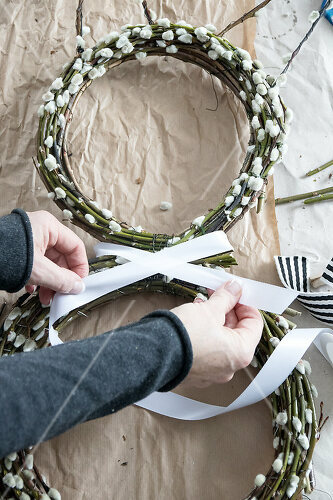 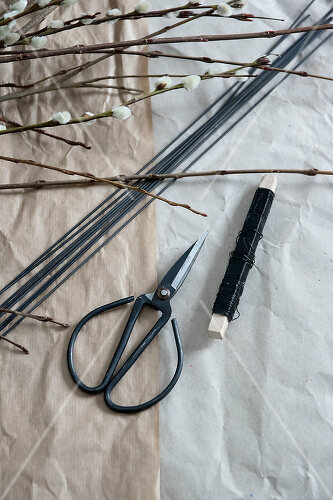 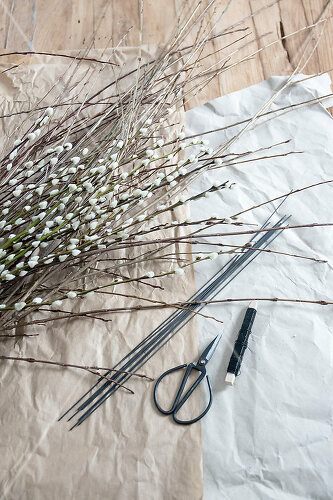 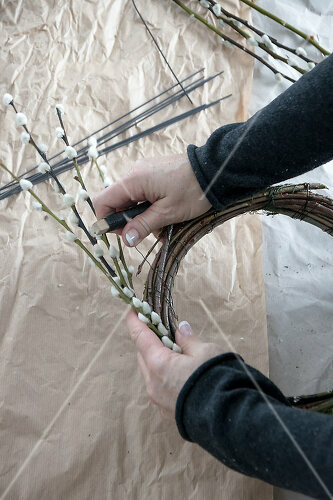 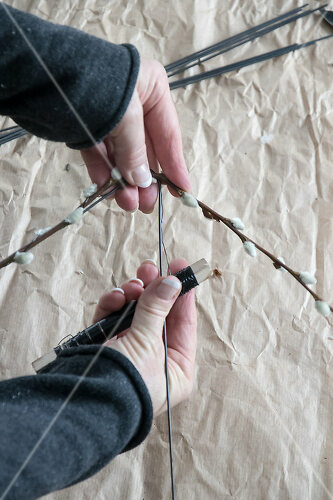 Using soft willow catkin, two wreaths are formed into an Easter bunny. 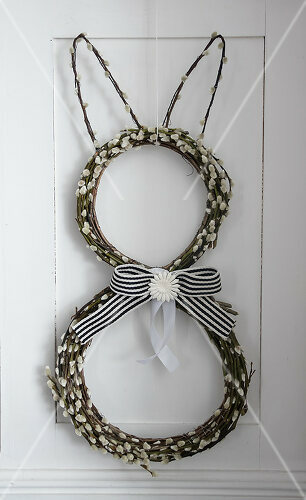 With a nice bow this will make an attractive Easter decoration.